YachtWedding (www.YachtWedding.com) is the wedding destination and honeymoon agency specialized in romantic weddings aboard luxury mega yachts, in classy villas, at sandy beaches, magical light houses or private islands. With offices in Miami, London, Prague, Split and Cape Town YachtWedding operates on three continents bringing joy and happy memories to clients from Europe, USA, South America, Russia and China. YachtWedding offers unforgettable civil, religious, engagement or symbolic ceremonies taking place in the magic and secluded bays of the seas, lakes and rivers all around the world. 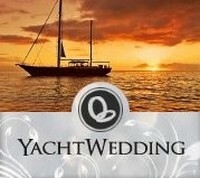 Members of YachtWedding are e.g. Wedding in Caribbean, Wedding in Croatia, Wedding in Istria or Africa Weddings. The ceremony is organized in accordance with your desires and special requirements, in compliance with the traditions and habits of your faith. YachtWedding is the gem of our investment portfolio. Yacht Romance (www.YachtRomance.cz) is travel agency and tour operator operating on Czech & Slovak markets specialized in romantic getaways and unforgettable experiences not only for couples. Online travel catalog with thousands of up to date deals for your perfect vacation by over 300 certified and insured european tour operators. Easily compare individual offers, destinations, prices and book you perfect vacation online. Yacht Romance provides its clients with first class customer care. 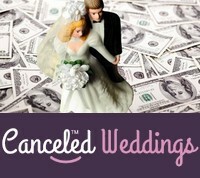 Canceled Weddings (www.canceledweddings.com) is an international wedding brokerage firm specializing in the secondary market for cancelled wedding plans and honeymoons. The company helps couples reduce the financial burden of their wedding cancellation by re-selling it as a pre-packaged wedding at a discount to flexible couples or to those looking for a good deal. The Canceled Weddings portfolio also includes specialized portals for last minute weddings and late availability wedding offers all powered by centralized MatchMaker system to find best deals for brides & grooms worldwide. The CanceledWeddings.com portal is a global online brokerage service with regional arms in USA, Canada, UK, Ireland, Australia, New Zealand, Germany and India backed by a cosmopolitan team of wedding and event management professionals helping couples worldwide to save money. It’s a win-win for everyone!